It’s been so long since I’ve showcased anything fashion related here on the blog! 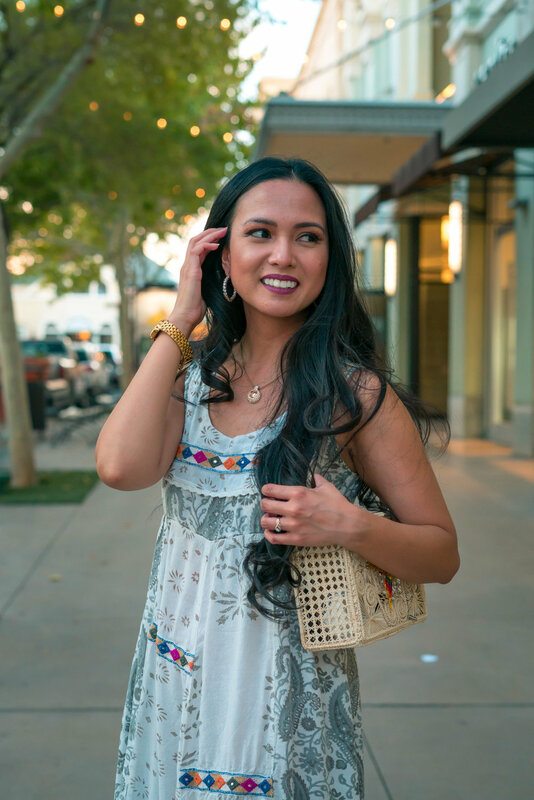 Since the first day of fall has come and gone only yesterday, I figured this was last chance to squeeze-in my last summer fashion post for the year. For now, I am counting down the days. It’s been miserably hot, particularly today. Gman and I went to get our marriage license and just walking from the parking garage and two blocks down to the Clark County Marriage License Bureau was annoyingly uncomfortable. But on the flip-side, WE GOT OUR MARRIAGE LICENSE! The big day is getting so close and the act of getting the license alone hit me like a ton of lovey-dovey bricks that I’ll be Graciella Maria Lyra Colmenares Krycer. EKKKKKKKKK!!! I love the way this dress fits and the beautiful different patterns on it. I’ve received so many compliments on this dress. I’m not sure exactly why people like it, it definitely helps me stand out against the crowd in some way. 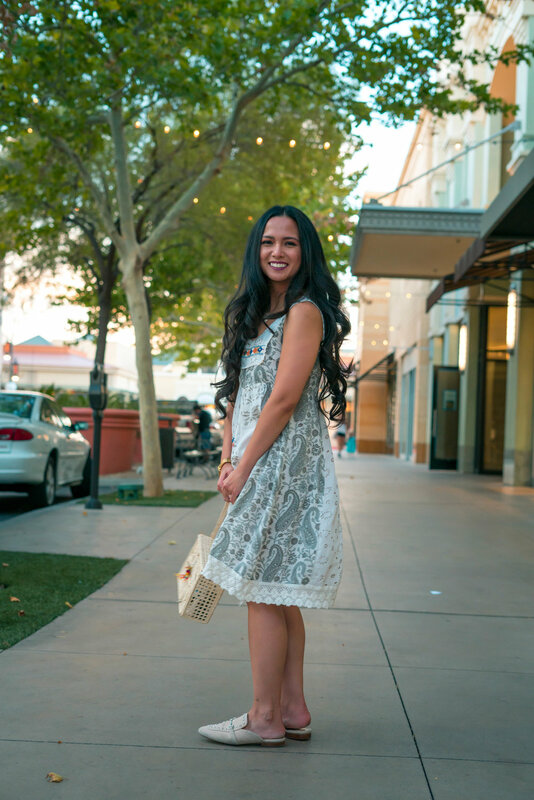 I matched the dress with this basket woven hummingbird purse, creme colored loafers and some gold jewelry to accent the gold designs on my dress. Plus, ya’ll know I love gold jewelry anyway. Hope you guys are well! Have anything good planned for the Fall season?